Almond tree was cultivated 4,000 years ago. Today is grown in California, US, Mediterranean Basin, Pakistan, and Iran. In Germany, the almond tree is planted in the vineyards, where it is sheltered from the cold. Must distinguish between sweet and bitter almonds. Sweet almonds are covered by the cuticle brown rough to the touch, cuticle which can be removed after scalding fruits. 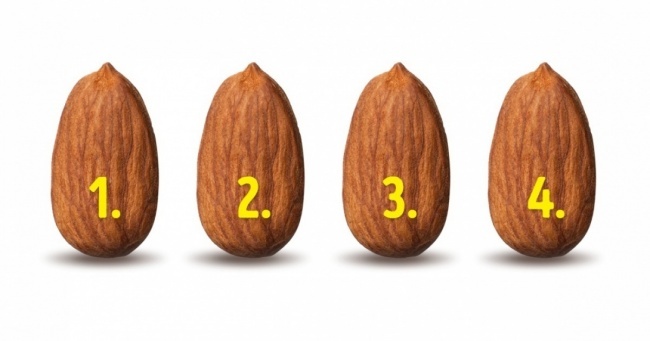 Almond shells contain prebiotics that is needed for growth and multiplication of good gut bacteria. If there’s an imbalance (with such symptoms as stomachache, bad breath, and indigestion), it’s recommended to eat 30-35 almonds a day.